Stay tuned for our next great 10k Training Program! 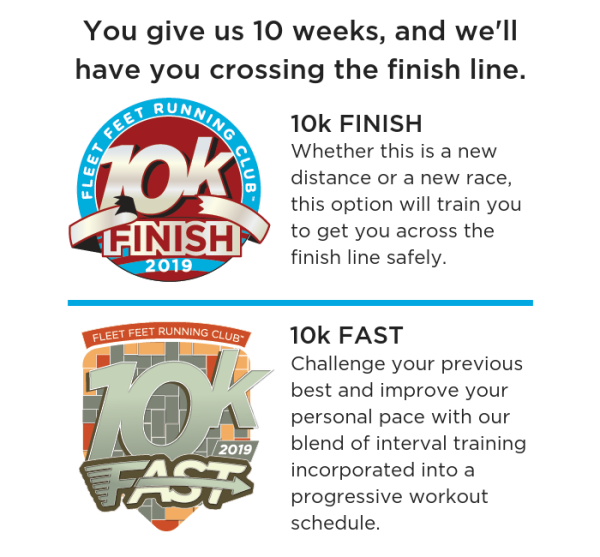 Our 10k program offers a 10 week coached intermediate running program that will help you build endurance, learn pacing, and accomplish miles. Our 10k training prepares you to run or run/walk a 10k in an effective and safe manner. This program is designed to provide a solid foundation for running longer distances, and offers pace groups for various abilities with support, motivation and encouragement from experienced coaches. Open to all levels and abilities. $5 per class.